The Knoxville Zumbathon was from 2 – 4 today at the downtown Hilton. However, doors opened at 1 and demos of Zumbatomic, Zumba Gold, and Zumba Toning began at 1:15. There was no swimming pool in the room so there was video of Aqua Zumba playing so participants could see what an Aqua Zumba class is all about. Over 300 participants were in the ballroom…and that doesn’t include the 80+ volunteers and sponsors that were helping out. 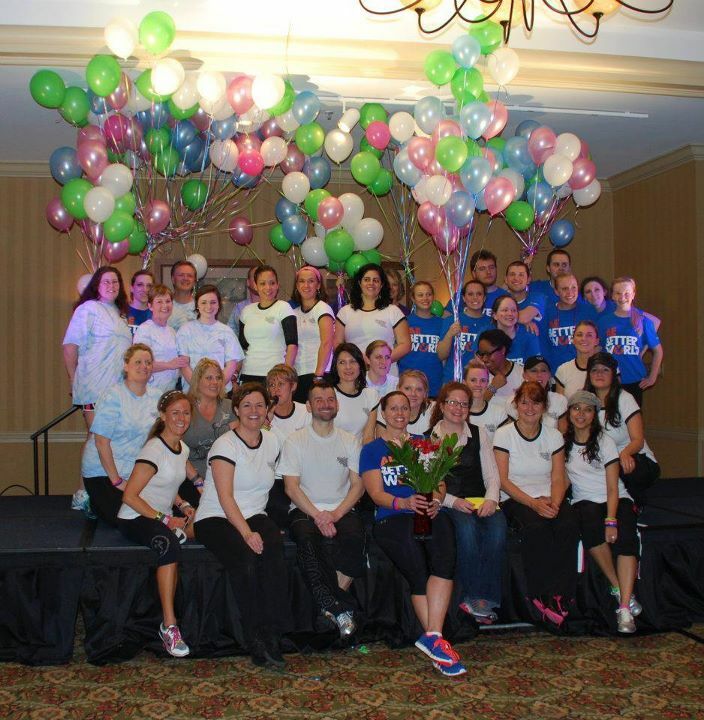 This Zumbathon raised $10,000 for the YMCA Change a Life Campaign for the East Tennessee YMCA!!!! One of the things that I LOVE about Zumba…..you can fill a room with people, get 20 instructors to get on stage and “instruct” 2 songs, and everyone can follow along and have a great time for TWO hours while burning lots of calories and getting healthy. Now I teach other formats and enjoy teaching them – but what other class can bring all ages, fitness levels, shapes, sizes and ethnicities into one room…even if they have never participated in that class before…and keep them moving for two hours — AND keep them smiling and having a great time???? From the moment the music kicked in for the demos until the end of the last song, the energy was high – the excitement level was intense – and the room was rocking 🙂 The instructors were just as diverse and unique but each one rocked the stage and brought his/her individuality and were truly “superstars”. Endorphins were high…..heart rates were up…..the workouts were ditched….and the party was joined!!!! What a way to raise some money!